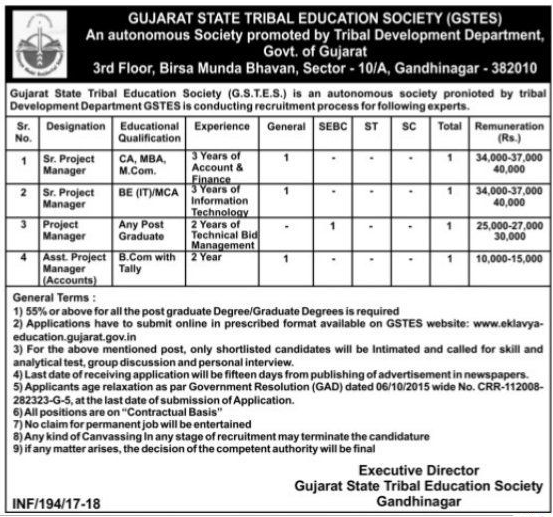 Gujarat State Tribal Education Society (GSTES) has been published Advertisement for below mentioned Various Posts 2017. 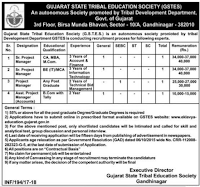 Check below more details like age limit, educational qualification, selection process, application fee and how to apply. Experience: 03 years of Account & Finance. Experience: 03 years of Information Technology. Experience: 02 years of Tech. bid management.